SAGINAW, MI – April 26, 2018: Mid-Michigan Children’s Museum and Saginaw Choral Society are partnering to present The Reluctant Dragon for a special Mother’s Day event held in the Children’s Museum galleries at 315 W. Genesee Avenue, Saginaw, on Sunday, May 13 at 3:00 p.m. The Reluctant Dragon is the musical adaptation of Kenneth Grahame’s fable of the same name. It tells the story of a boy and a poetic dragon who meet and develop an unconventional friendship. The show features Josh Stubor, son of David and Elizabeth Stubor (Saginaw Township). Josh is a 7th grade student at White Pine Middle School, where he is a music student of Betty Mayer, who is also the show’s accompanist. Tickets are $5 each, or $20 for families of 5 or more. Moms get in FREE! Advance tickets are available by visiting Mid-Michigan Children’s Museum. Tickets are available at the door as well. The Reluctant Dragon is supported by grants from Michigan Council for Arts and Cultural Affairs, Saginaw Arts and Enrichment Commission and Saginaw Community Foundation. 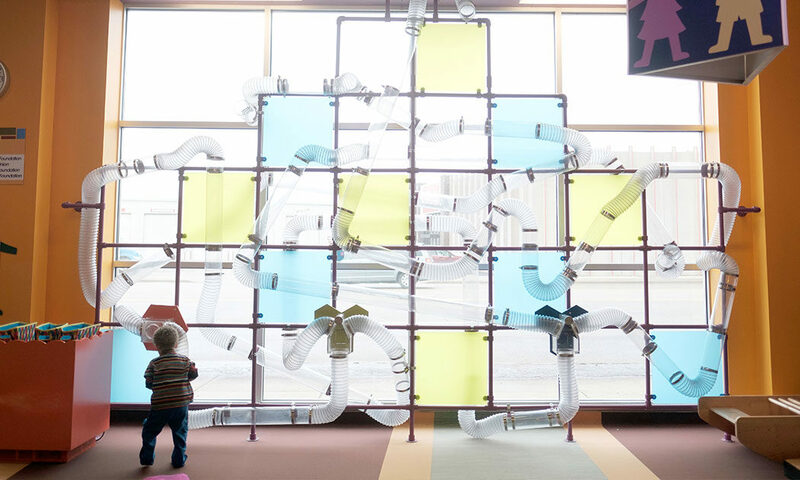 The Mid-Michigan Children’s Museum is a local 501(c)(3) nonprofit organization dedicated to providing a hands-on, Play and Learn environment that inspires children to use their curiosity and creativity to learn about the wonders of our world. For more information, call (989) 399-6626 or visit michildrensmuseum.org. The Saginaw Choral Society has been the premiere community choir of the Great Lakes Bay Area for more than 80 years! Under the direction of Jeremiah Kraniak, the choir boasts nearly 90 members and partners with local educators, artists, and non-profits entertain, educate, and inspire! For more information, call (989) 753-1812 or visit saginawchoralsociety.com. Indoor Tooth-Friendly Egg HuntMuseum’s 10th birthday gift to the community: FREE admission! Keep up on the latest museum news and events! ©2019 Mid-Michigan Children's Museum. All rights reserved.